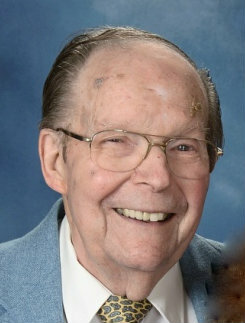 Obituary for Ralf George Schaffer | Doolittle Funeral Service, Inc.
Ralf George Schaffer, 85, of Middletown, husband of Betty Reuther Schaffer for sixty-three years, passed away on Sunday, March 24, 2019 at Middlesex Health. Born in Brooklyn, NY, Ralf lived in Middletown most of his life and was a member of Faith Lutheran Church. He served in the United States Army during the Korean Conflict. Ralf worked at Standard Knapp for forty-three years retiring in 1998 and was a member of the Hartford Saengerbund. Along with his wife, Ralf is survived by his son, Peter Schaffer of Middletown; a stepbrother, Stephen Roy Schaffer and his wife, Sally of North Venice, FL and a niece and two nephews. A graveside service will be on Saturday, April 20 at 10:00 am in the State Veterans Cemetery, 317 Bow Lane, Middletown followed by a memorial service at 11:00 am at Faith Lutheran Church, 300 Washington Street, Middletown. To send condolences, please visit www.doolittlefuneralservice.com.